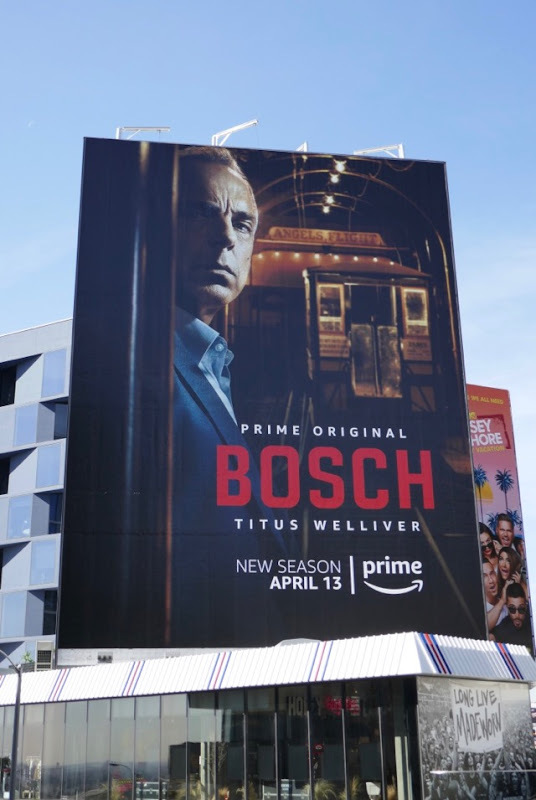 Amazon Prime's faithful adaptation of Michael Connelly's LAPD detective 'Harry Bosch' returns for a fourth season this April and it looks like it's time to take a ride aboard Angels Flight, Downtown L.A.'s funicular railway in the Bunker Hill district. 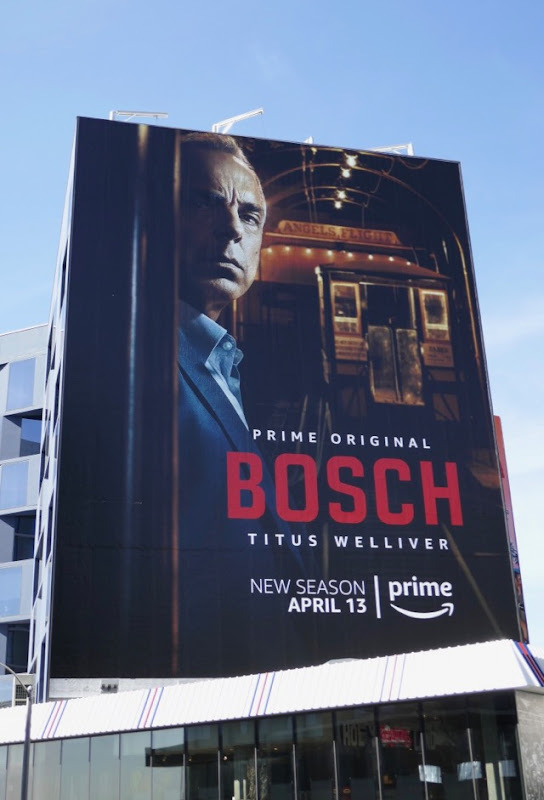 The great thing about adapting a beloved literary character is that there are so many stories to be told, and Angels Flight was Michael Connelly's sixth Bosch novel where a high-profile black lawyer is discovered dead within one of the cable car's carriages. 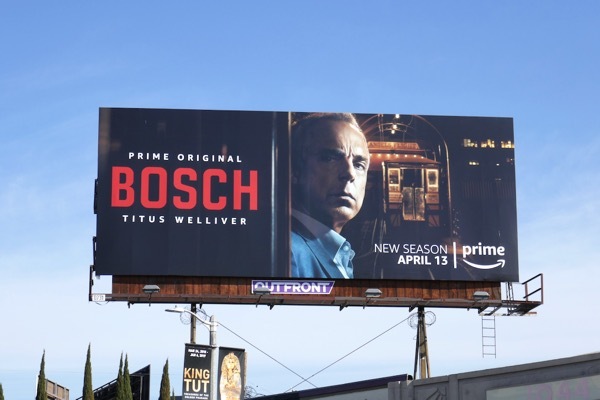 Titus Welliver is back as the titular detective in this crime-solving procedural who is haunted by the unsolved murder of his mother. When he's not tackling homicides and serial killers, the series also sees him juggling his family problems with his teenage daughter and ex-wife, plus dealing with police and city politics. 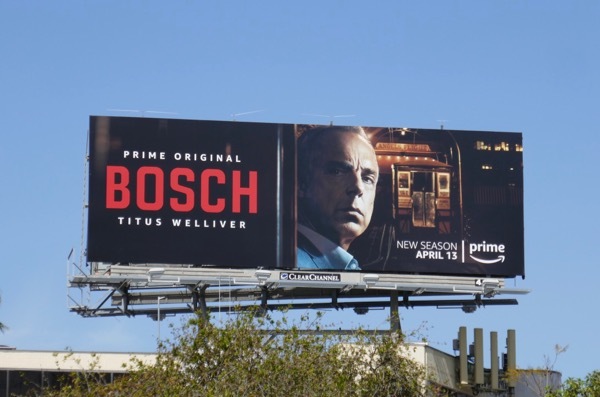 These season four billboards were snapped along La Brea Avenue, San Vicente Boulevard and the Sunset Strip from April 6 to April 8, 2018. 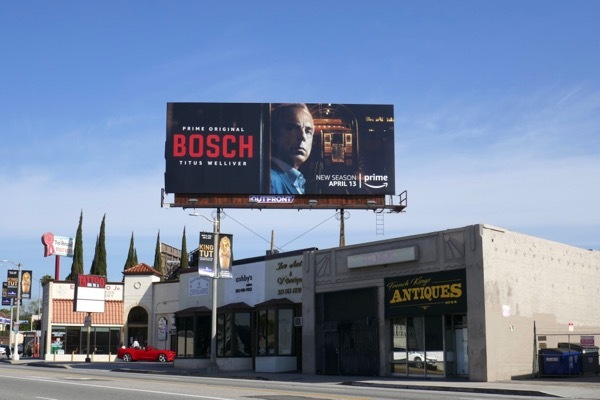 Fans of the Amazon Prime original series can also check out all these previous season promo billboards for Bosch from recent years. 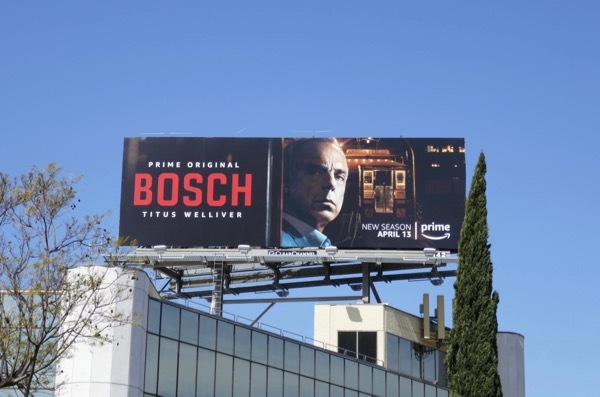 The crime drama has already tackled many storylines from the best-selling books, but with over twenty novels at their disposal there's still many tall tales to be told, and a fifth season already commissioned for when you've binge-watched these all-new episodes.